想問下本身已有citi PM 大慨4年, 如果而家申請prestige 係咪都係無俾$2500年費送15000里依個offer? Hi, Can I use this card for booking the 酒店住4免1 for other friends, not myself? 想問下個24 hours 私人助理係所有 查詢都可打？同埋free insurance 有埋程序apply? 小斯, 我想問下我上年9/18號申請到prestige, 但用左一年發覺完全用唔到佢D 4送1, 所以唔想再被$2500, 諗住轉PM, 請問係咪要得夠1年先CUT 得唔駛罰? 過一年佢會唔會即刻CHARGE 第2年年費? 如果而家 Citi Prestige信用卡 & Citi PremierMiles信用卡 ; 二張都未申請過; 一年來沒有 citi 的卡. 咁係咪申請左 CP 先, 拎完迎新; 再申請 CP 拎迎新 最好? 請問用 citi prestige 卡在網上online的非香港註冊商戶簽 HKD 的 DCC 簽帳會有積分嗎 ?? 因為以前看過只有在當地的零售 HKD DCC 簽帳才沒有積分，但是網上的 DCC 簽帳則有積分 ?? 3. 年資奬賞我理解是每年度才轉入戶口的，那是以每年度第一日還是最後一日計算？ e.g. 假設我今年 10 月申請，但要 2018 年7 月才夠 10 年, 那我第一個年度應會有20% 還是 30%的年資奬賞呢? 1.想問我今年4月cancel citi 八達通card, 想下年申請PM card , 如果申請citi prestige card,有冇影響我下年申請 pm card ? I cancelled this card before, but recently reapplied. Because I think this is the only card with unlimited PP with no spending requirement? SC priority visa infinite need spending or minimum balance. 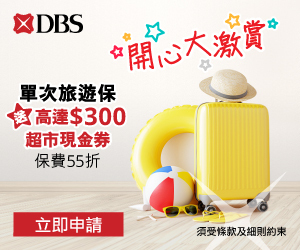 Citibank prestige 如果申請到仲洗唔洗要DBS black card 同渣打miles ? 想問CITI Prestige張卡酒店4送1個優惠, 其實抵唔抵? 因為佢一定要用Citi Prestige 禮賓部去訂酒店, 會唔會貴過旅遊網站好多, 變咗無用? I saw there are two available options of travel insurance from their official website, namely Zurich and Master Elite which cover almost the same area with slight differences in amount of settlement. Which plan is better to choose, in terms of service level and settlement of claim? Or can I claim to both parties at the same time for one single loss? 小斯,東亞 flyerworld card 要年薪30萬, 頗高。有冇d card低門檻要求, 兼且可以交公屋租金賺積分? Thx! Oh, so i should change to use citi prestige and ignore dahsing BA? 4) 如果經網站 如holel.com 訂酒店房而用prestige 是否有第四晚的免費? If annual income is around $400K, would Citibank approve my application of this credit card? for priority pass does that mean can check in earlier? say for example can queue up in the business class line in CX? thx a lot! HSBC VS 中類別固然抵過佢，但其他HKD 交易又可用東亞 flyerworld ($5/里), 簽外幣計 PM 都 $3/里。想理解下仲有咩情況用 prestige(就埋年資都係$5/里). So I will receive credit points in next year instead of 20,000 asia miles? What if I book hotel rooms for myself and others via my card? Could all rooms be discounted together? Thanks! I just called the Citi Prestige Concierge and they said only the main cardholder eligible for the free fourth night even travelling with others (can book for others but those others not eligible for the free fourth night), is that correct? but you said “if travel tgt ok” in the previous reply? 小斯 想問一問呢張卡if book spg / Hilton ge酒店4/5 晚既話 咁有冇會員既benefit ga??? 如果citi pm$8/miles 同 大新$6/miles比又吾知邊張好，citi pm迎新優惠都好吸引呀!係您會點揀? Is the lounge access only for the citi prestige card holder ? Can the card holder bring guest to the lounge for free ? 呢張卡加埋年資, 海外簽賬其實唔只 $4 = 1里, 請問我計得岩唔岩? 4) CITI PRESTIGE 信用卡 或 Citi PremierMiles信用卡 或 東亞Flyer World 信用卡 ???? 如果不是為了用錢 (年費) 買里數, 好像沒特別? 里數好像東亞更好(唔計 citigold 又10 年), 而priority pass 用其它卡, 大慨就差買機票送保險..
唔係好明, 點解第一年俾$2,500 年費有 30,000 里, 唔係送 15,000 里咩? 1) 唔夠60萬, 係咪一定申請唔到Prestige ? 批得好緊? 我諗緊一次過申請, 定遲D先再申請Prestige ? 2) 如果係Prestige & Premiermiles 同時申請, 係咪2個都會有迎新? 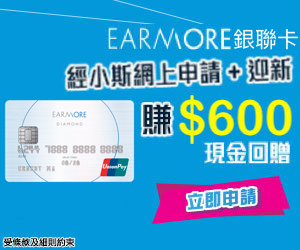 3)我本身已經有BEA flyer world card , 其實Prestige仲要唔要申請? 如果要申請Prestige卡, 有咩優勢係好過flyer world? 1) 咁姐係我先申請左PM, 等批左pm卡先, 之後再等12月salary double pay + bonus 的salary statement 先再去申請prestige, 咁個成功機會會大d? 2)咁姐係有左CITI PM, 再申請prestige卡, 比埋prestige卡年費, 都會有佢個迎新里數? Wah, u have paid it ah? I just received a letter saying Citi Prestige card adjusted their reward for renewing the card (pay $2500 annual fee) from 30,000 asia miles point to 20,000 asia miles point. Do you think it is still good to pay $2500 to get 20,000 asia miles? Or I should cancel it? I also have a DBS black card, should I use it instead? I am spending $30000+ every month on credit card, what’s the best card you recommend for me? 但佢official website 只寫welcome offer 係15000， 續咭offer 仍然寫由第二年開始繼續有30000miles. 不過如果 HSBC 今年出VISA INFINITE BLACK CARD ，可能會有另一張高檔既”一卡走天涯既旅行卡”. 如果 HSBC VISA INFINITE BLACK CARD 今年在香港推出，我會馬上申請，並 CUT 掉 CITIBANK PRESTIGE CREDIT CARD. 大新ba 剩係可儲avios, 而且無priority pass and travel insurance. 咁我係咪應該係 6 月 1 號後 CUT CITI PRESTIGE CREDIT CARD? Where is the source for 15,000 miles? 剛剛打電話去CITIBANK HOTLINE, 佢地話未有收到由30,000 下調至 15,000 里的按排喎. Hi I wanna ask how do you use this card to save for avios? Do i just register an account on avios? Can I use this card to exchange miles for asia mile and avios at the same time? Do i just register an account on avios? Can I use this card to exchange miles for asia mile and avios at the same time? Thx so much! I wanna ask how is this card more favourable than DBS Black MasterCard? 我想問可唔可以同時有 Citibank Pm 同 prestige? 本身我有CX Elite 所以已經有PP咭，link 去CX. CX包4次，但Prestiage unlimited, 咁我係咪要通知PP link 番去 Citibank? Then I will have 2 PP cards? Oh, I think if I book Maldives hotel, maybe some jetso tim…. 呢張咭優點係送 Priority Pass, 但如果想帶人入lounge 就可能真係要用小斯上個月教嗰個方法了. 但有個問題係, 去到外國, 始終同行嘅人冇PP 好難入到lounge. Thanks 小斯！我而家有兩張PP, 你估可唔可以用嚟帶多個朋友入lounge 呢？話時話 CX Elite 我都有，仲諗住佢冇乜用想cut 咗佢，原來仲可以入外國嘅 Plaza Premium lounge! 我有一張 CITI 八達通信用卡, KEEP 住佢有冇年資獎賞, 對將來申請 CITI prestiage 有冇幫助?? 請問填完priority pass張form最快幾耐有得攞張pass？我打去prestige hotline問status，佢話唔知，叫我打去priority pass度問，打去priority pass,又話我要問番Citibank…..
–>Just apply via branch and ask them to submit and get last year offer, you need to consume HKD 20,000 in designated period, then total 40,000 miles including welcome offer. HKD 2500 fee can’t be waived. If I have no income is it possible to apply this prestige card with deposit proof? How much would be sufficient? I used deposit proof (> HKD 1M)… and just got the approved by CITIBank..
小斯，it’s a Very good blog, trust it helps a lot of people, keep it up! I used to do this 12 years ago when gratuated from university, of course not as deep as yours. Re this card, really can consolidate lots of consumption. I applied on Jan 5,requested last year offer (40k miles), got sms on approval on Jan 7, and card arrived Jan 9, using it today, good efficiency. Also they honored the promotion, Guess some flexibility here. Requested pay $2500 for 40,000 miles? They approved? When will they credit the relationship bonus miles? if they credit in the 13th month, does it mean that I can’t get those bonus miles if I cut the card after one year? Can I redeem Avios using Citi Prestige? seems only Citi Premier Miles can redeem Avios. thanks! I have over $600k annual income and never have any Citibank cards but I have DBS Black Master. Should I apply Prestige or Premier Miles? I also have HSBC platinum and AE CX and AE platinum and lots of others. Should I apply Prestige or Premier Miles? coz the welcome offer is very attractive!! can you waive 年費 successfully? PRESTIGE 既年費都幾喇利, 首年之後既年費有無得WAIVE嫁?? 有無人試過WAIVE到 ? 如果真係兩張卡都批，我會盡快 CUT 左張 PREMIERMILE. 留番張 PRESTIGE 就算喇. 同埋有小道消息，HSBC 會在出年年頭推出VISA INFINITE BLACK CARD. “We’re pleased to inform you that we will be updating your Citi Prestige Card. Some of your existing benefits will no longer be offered, but they’ll be replaced with new benefits to ensure you continue to enjoy a world-class cardmember experience. • Flight Points will be earned on airline tickets purchased with your card by October 18, 2014. Any points earned through October 18, 2014, will remain eligible for transfer to your ThankYou® Member account once the matching ThankYou® Points are earned from purchases. • Airport Angel lounge access will be available through October 18, 2014. • Annual Companion Ticket for travel to any worldwide destination and 15% savings on airfare must be booked by October 18, 2014 for travel completed by October 18, 2015. Please call 1-877-288-CITI to book your travel by October 18, 2014. • Your current Relationship Bonus is effective through your next cardmember anniversary date before October 18, 2015. After that, you will no longer earn based on spend tiers. Your bonus will be based on a fixed percentage. • As a cardmember with a Citigold® relationship, you’ll earn a 15% ThankYou Points bonus based on your annual spend. • Priority Pass™ Select, which offers access to a larger network of airport lounges with over 700 VIP lounges worldwide. 為何CITI PRESTIGE和DBS BLACK MASTER, 不可以共存? 但是, KEEP DBS BLACK WORLD MASTER, 可行嗎? 如果第2年的年費沒有JETSO (ASIA MILES), 會回歸DBS BLACK WORLD MASTER的行列!!!!!! 此卡是否批卡十分嚴格? 已有DBS BLACK MASTER, 如獲批此卡, 會否重複? 原來識人真係Citibank做真係會批到, 如果本身有PM轉呢張好唔好呢? 仲拎唔拎dbs black world master? 因為有PM之後都陸續cut緊其他卡, 本來想拎埋dbs world master就兩張卡走天涯, 睇到有人識人批到, 問一問又真係得, 又心郁郁…. 話晒有PP真係好吸引…. 之但係如果用Pretisge一卡走天涯, 加埋本身citibank戶口, 就全部都靠citibank, 好似好唔secure… 哈哈… 但prestige + pm + dbs world master… 點揀? I actually have Citibank Octopus card for some time and I just recently applied Prestige. The original plan is to cut the Octopus one because I don’t use it at all. In that case, does it mean that I shouldn’t cut my card so that I can get a better relationship reward? Thanks! 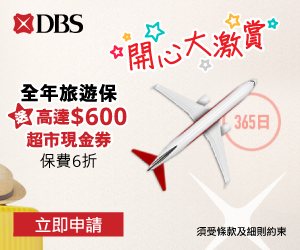 Cardholder can redeem 1 Asia Miles/ KrisFlyer mile (12 Points) for every HK$6 local spending/ HK$4 overseas spending, OR 1 Royal Orchid Plus/ Skymiles mile (13 Points) for every HK$6.5 local spending/ HK$4.4 overseas spending. Overseas spending is defined as transactions made outside of Hong Kong (excluding Mainland China and Macau) or internet transactions, in which the transaction is settled in foreign currency. need to pay $2500 right from the beginning? can it be waived with certain amount of spending? but you can bargain with the bank…. I asked whether it is possible to waive, they said kind of hard, but think about the difference paying two dollar less, if you want to redeem first classmates ticket say 100,000miles you would spend$200,000 less to get that by paying 2,500! Totally justified!! And with the relationship reward u can get, it’s even better!! I called the customer hotline. Paying HKD2500 for the first year usage is a must, and of coz you will hv 30000 milage. There is no annual fee waiver for subsequent years. Well, that means, you hv to pay HKD2500 every year and you will hv 30000 milage each year in return.